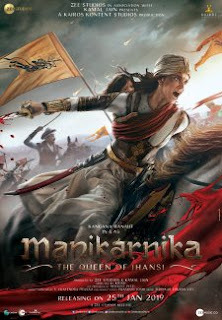 Manikarnika: The Queen Of Jhansi 2nd Week Box Office Collections - Checkout up to date and complete Box Office Collections of the Kangana Ranaut, Jisshu Sengupta starrer. The movie released in India on 25 January, 2019. Day 9 Collections - Manikarnika showed a big growth of around 50% from yesterday to collected a good number of around 5.25 crore on its 9th Day. If the film can show similar growth on Sunday as well then it can have a good second week. Day 8 Collections - The film dropped around 20% from Thursday, which is a very good sign for the film as it remains the second choice this weekend after Uri : The Surgical Strike. The film collected around 3.50 crore on its 2nd Friday.